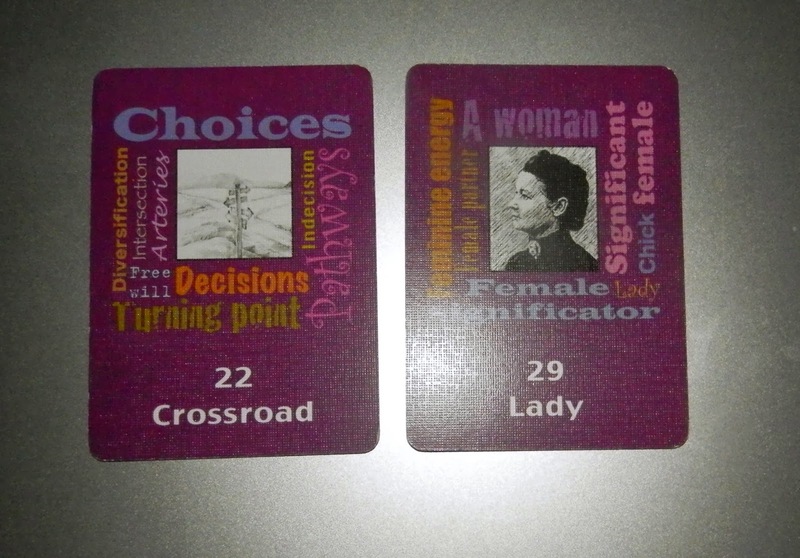 Today's Draw: Crossroads and Lady from my Keywordy Lenormand. So this weekend is going to include some sort of a choice made by a female. Yeah, I know. Brilliant fortune-telling. Because everything's a choice. Opening your eyes in the morning is a choice. Walking across the room is a choice. Voicing an opinion is a choice. Responding to an insult is a choice. Happiness is a choice. And maybe that's what this weekend's draw wants you to know. Life doesn't happen to you. You happen to life. So make your choices ones you can not only live with, but also ones that bring the most joy to all involved.